Fiber Flux: How To Crochet A Cowl For The Absolute Beginner! 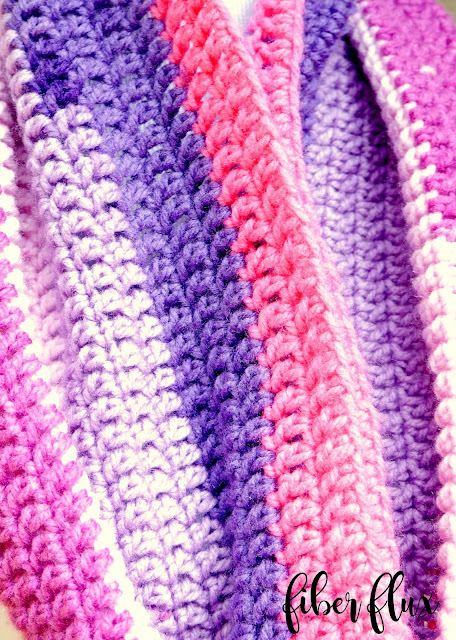 How To Crochet A Cowl For The Absolute Beginner! Learning how to crochet? Need a refresher or quick project? You've come to the right place! This beautifully striped beginner cowl is fun and super duper easy to stitch up. 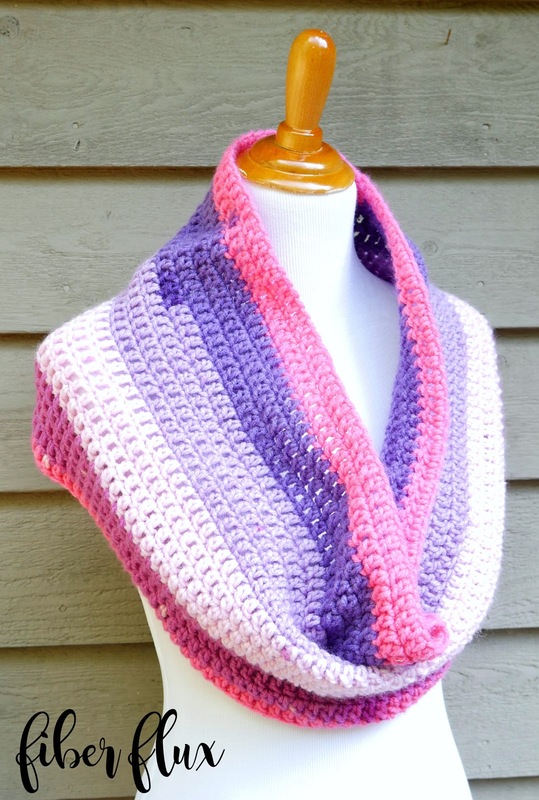 Self striping makes the color changes a breeze too...the yarn does all the work for you! Makes a perfect first project and a fabulous gift too! Ready to get started? There's a full video tutorial below too! Ch 100, join in the ch furthest from the hook with a sl st to create a large ring. Row 1: Ch 3, then work a dc in the first ch. Work a dc in each remaining chain. Row 2: Ch 3 then work a dc in each st, then a dc in the top of the turning ch from the previous row. Repeat row 2 until cowl is about 11 inches tall or desired height. Weave in any ends with a tapestry needle and you're finished! Beautiful! Thank you! I'm not a beginner but I love quick and easy patterns. And this will give me a chance to finally use my leftover POP cakes! 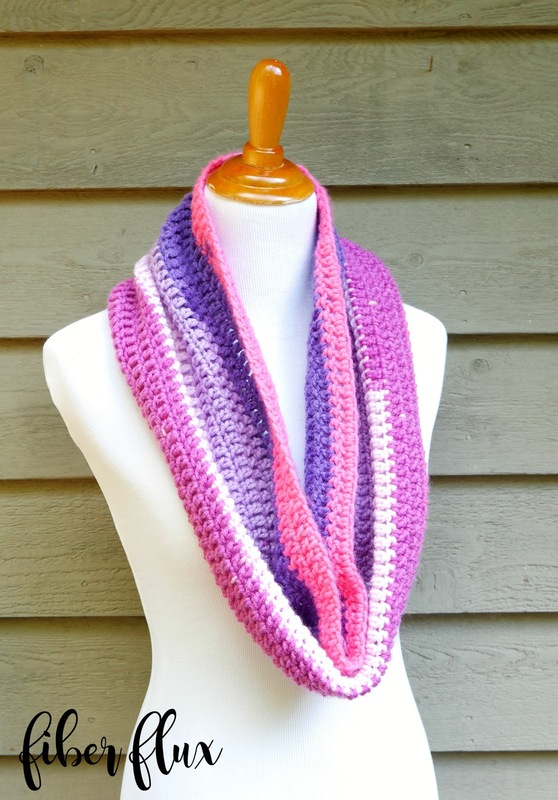 This looks like the perfect scarf pattern to make for me to donate to our fall church sale! Thanks for sharing this.